The condo meltdown is underway! 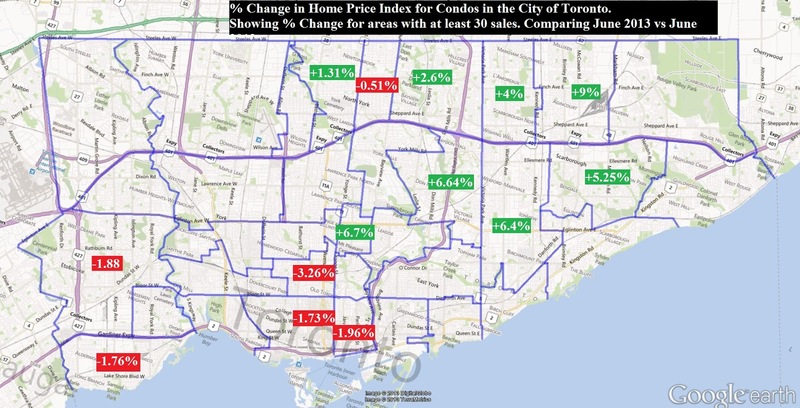 While the average house price in the GTA went up by 4.7% last May, condos in the Toronto core went down by ~2%. 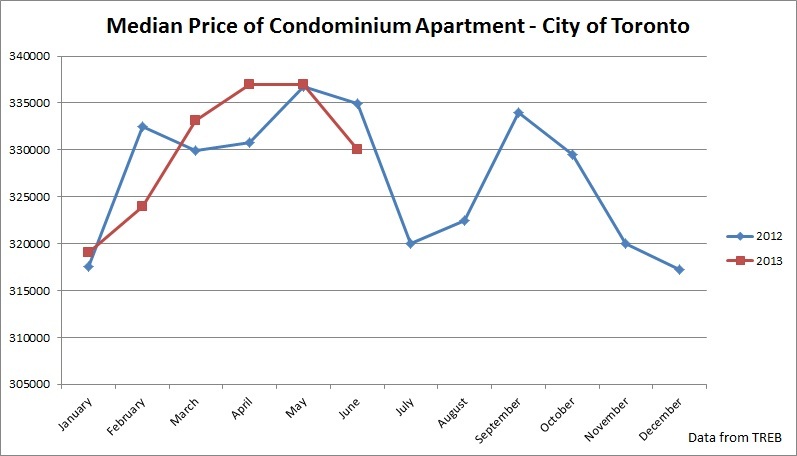 In fact, condo apartments have been dropping in value for almost a year now in the eastern part of the downtown. Eventually the correction will spread to other market segments as well. Below is a map that shows the percent changes in Home Price Index (HPI) of condo apartments for Toronto's districts with at least 30 sales. While condos in the northeastern part of the city were appreciating, condos in the southwestern part were losing value. The reason that I chose to look at HPI is because it accounts for the expensive properties that can skew the statistics (especially when looking at small samples). Just take a look at Yorkville and Vaughan stats below. 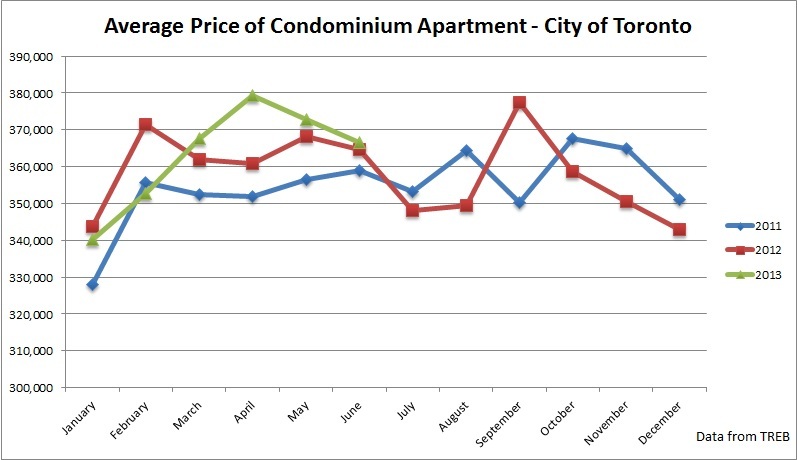 Overall the average condo price in the City of Toronto went up by 0.5% in June 2013. The median price decreased by 1.4% and the HPI went up by 0.5%. Sales fell by 6.1% compared to a year ago! 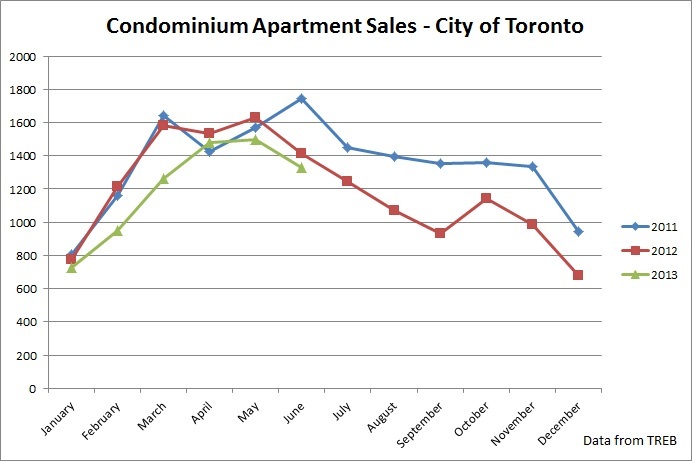 Compared to 2011 condo sales fell by 24%.